What To Look Out For When Buying The Best Shaving Cream Warmer For You? To achieve an incredibly smooth and comfortable shave, it’s imperative that you get the surface on your skin warm so the pores will open. When you have wide open pores and softer follicles, the razor will be able to glide effortlessly through the whiskers making for a clean and comfortable cut – and the best shaving cream dispensers will help achieve this. If you are using a canned shaving cream, the contents in the can typically are at best, only at room temperature. Therefore, when applied to your face, the cold gel or cream will slightly constrict your pores due to the drastic change in temp (especially if you just got out of a hot shower). Conversely, if you want to harken the olden days of traditional shaving, you could whip up your own lather by using the best shaving cream, coupled with hot water to help retain some of that heat in order to keep your pores open. However, somewhere between the canned creams and your own whipped shaving cream lather comes the option of using a shave cream warmer. Shaving cream warmers come in many different shapes and sizes that will be able to adequately dispense out shaving cream that has been pre-heated to ensure a much more comfortable shave. This will especially ring true when the temperature outside begins to drop in the brisk winter months. A hallmark product found in barbershops across the United States and beyond, the best shaving cream dispensers can be heated to a predefined temp for maximum comfort and performance to bring out the best in your shave. While sure, canned creams may have their downfalls of relying on cheaper ingredients when compared to a more rich and traditional shaving cream, you can help to offset these disadvantages by using a quality aftershave balm to provide a rich splash of moisture to your face once you are done shaving. As you do your research, shave cream warmers come largely in two different varieties – one that has a universal fitting like the Conair HGL1NR that can fit just about any shaving cream of your preference or industrial brands like The Latherking and Scalpmaster’s Lather Time that rely on a shave cream concentrate. The consumer-friendly Conair is great for men who prefer to use their existing canned shaving cream, but have it at a warmer temperature upon application. This way if you have sensitive skin, or are looking to use a shave cream (or gel) with a particular fragrance, it won’t be a problem with the Conair shave cream warmer. 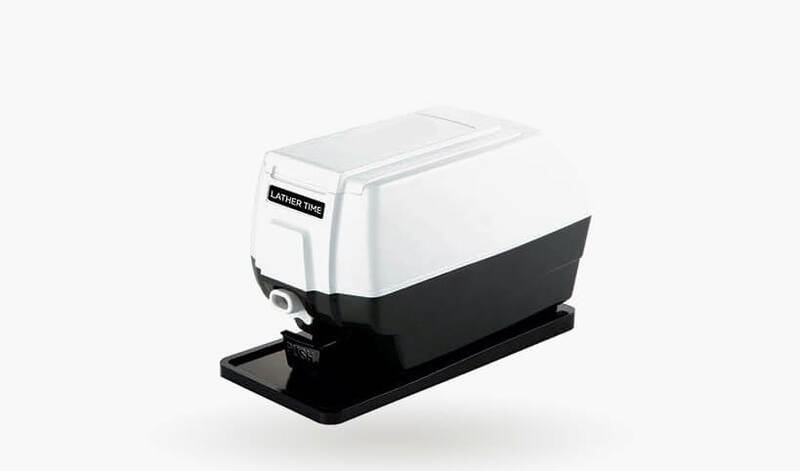 Contrary to the shave cream warmer from Conair, you have more industrial solutions like The Latherking or Salon Edge that require a liquid shave cream concentrate. While the selection is extremely limited to their canned counterparts, solutions like Campbell’s shave cream can be found in high-end barbershops across the nation and is generally a highly respected brand. Temperature Versatility Important In Your Selection? With a shave cream warmer like the Common Wealth Professional Deluxe Hot Lather Machine, you have a general preference that you can set when it comes to selecting your temperature. As you can see in our detailed description below, you can dial in the temperature anywhere between on, medium, and hi. However, having the ability to select a specific temperature may be important for some men. If this is the case for you, then we recommend checking out the Salon Edge professional shave cream warmer. With its ability to dial in a specific temperature down to the degree (in Fahrenheit) you can get exact results every time. When it comes to considering shaving cream warmers, it’s important to remember that the industrial options like The Latherking and the Salon Edge are often found in barbershops rather in homes. Therefore, they will likely take much more space on your bathroom countertop compared to consumer friendly options like the Conair. If you have a ‘his-and-her’ bathroom sink, this likely won’t be a huge issue, however, if you are in a tiny apartment in NYC for instance, the Conair shaving cream dispenser will likely make more sense as opposed to a larger and more industrial dispenser. No Includes shave cream concentrate. Includes shave cream concentrate. Includes shave cream concentrate and badger brush. Includes sahve cream concentrate. Beyond just hairdryers, Conair has been making hallmark bathroom appliance brands for years. Based out of Glendale, AZ comes this unique and compact warm shaving cream dispenser that should work for just about man’s shaving cream or gel canister. 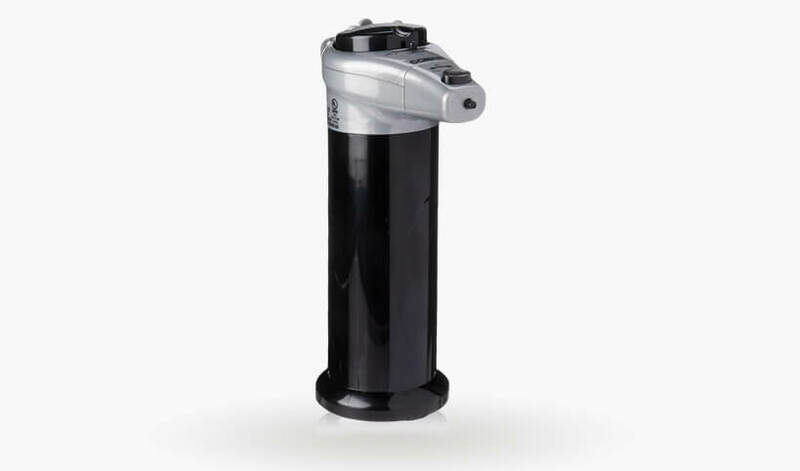 Taking up a relatively small footprint on your countertop, this 120V plug-in operated dispenser is great for the man who is looking for a no non-sense shaving cream warmer that gets the job done adequately. 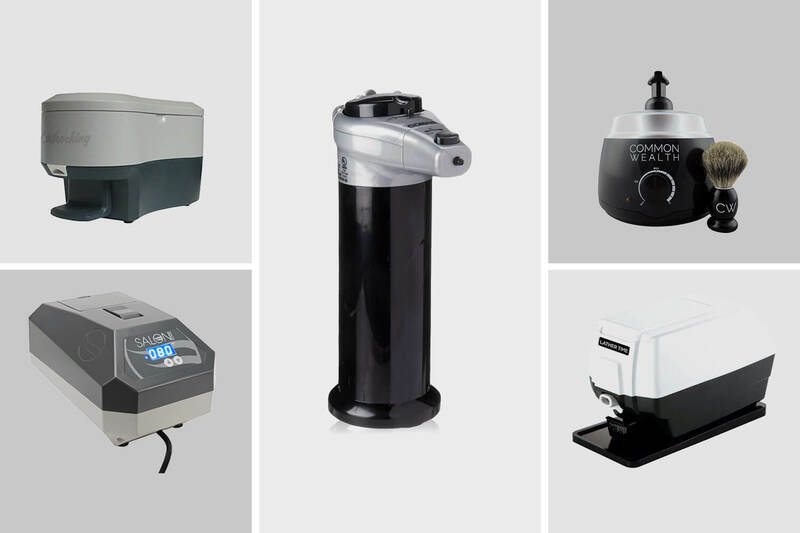 Ripe for the man who is on a budget, this affordable shaving cream dispenser won’t set you back hundreds of dollars like some of the others listed below that are better suited for daily shaving and of course industrial standards. Unlike many of the other shaving cream warmers reviewed in this article, Conair does back the HGL1NR with their one year warranty from the date of purchase. Therefore, this shaving cream warmer will provide the peace of mind that you have come to expect from quality brands like Conair. When using the Conair warmer, you will want to make sure that you switch it to the on position before hopping into the shower. Once the LED indicator stops blinking on the top, your shaving cream will be ready for dispensing and you will be on your way to a much more comfortable (and affordable) shave! If you are looking for a barbershop style shaving cream warmer that offers incredible temperature flexibility, then this dispenser by Salon Edge may be a great fit for you. With the unique ability of being able to dial in on an exact temperature setting, this dispenser is unparalleled compared to all other dispensers that are listed in this article. While we might see a shaving cream dispenser like the Common Wealth that allows you to set a temperature anywhere between on, medium, and hi, this dispenser by Salon Edge allows you to set it down to the degree. Beyond just having the ability to generate a lather down to the degree, this product does come packaged with a starter shave cream concentrate that will help alleviate the initial upfront investment costs. If there were some drawbacks to this particular machine, it would be that unlike the more affordable Conair dispenser listed above, this warmer doesn’t come with a manufacturer’s warranty. Therefore, if it breaks outside the retailers refund policy, you will be hard-pressed to have this machine fixed should it break down. Regarding the heat up time, given its larger reservoir capacity on the back end the dispenser, it should be able to bring your shaving cream to the pre-set temperature in about 10 to 15 minutes (however, this will likely vary depending on how hot or cool you prefer your shaving cream). 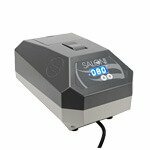 If you want the same exact lather machine that barbers use and are willing to give up a few conveniences such as footprint size or temperature control, then the Lather Time Professional Hot Lather Machine by Scalpmaster will be your best bet. Evoking the same designs aesthetics found in electric pencil sharpeners, this liquid based shaving cream dispenser will work for you and about 100 others in any given day. 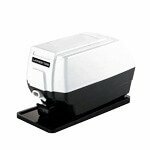 The work horse of shaving cream warmers, this product comes with the absolute barebones including an extra large soap cup, a rubber foot pad for reduced slippage when using the front pump, along with a cleaning brush to maintain your dispenser over the course of its life. Beyond just the aesthetics, inside you will find a 120V DC motor that should serve you for years. While this might be overkill for the bathroom countertop, men who are striving to get a shave cream warmer that they are so accustomed to seeing every time they go to the barbershop will of course love this option. When it comes to the specific solution that is used within this dispenser, a popular choice among both men and barbers alike is the highly revered shave cream by Campbell’s. With each dispense of this machine and the Campbell’s shaving cream, you should be able to generate both a warm and incredibly rich texture that will leave your razor blade singing when gliding effortlessly to cut your whiskers down. While of course, this machine be a bit overkill for a bathroom countertop, it will be incredibly well suited for those who come from larger families where many men may be shaving within the house – making it an incredibly well placed investment. 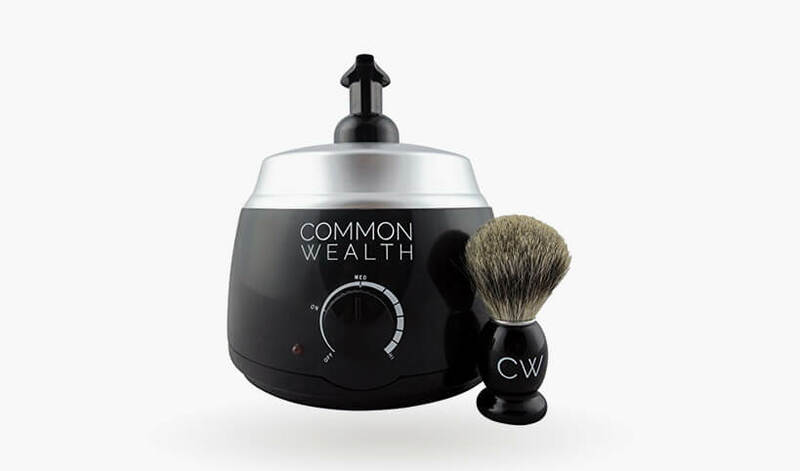 Somewhere between industrial dispensers like the one listed above by Scalpmaster to those that are incredibly consumer oriented like the Conair lies this shaving cream warmer by Common Wealth. First and foremost, this shave cream warmer comes with a temperature control similar in nature to the Salon Edge Professional Barber Hot Lather Shave Dispenser. 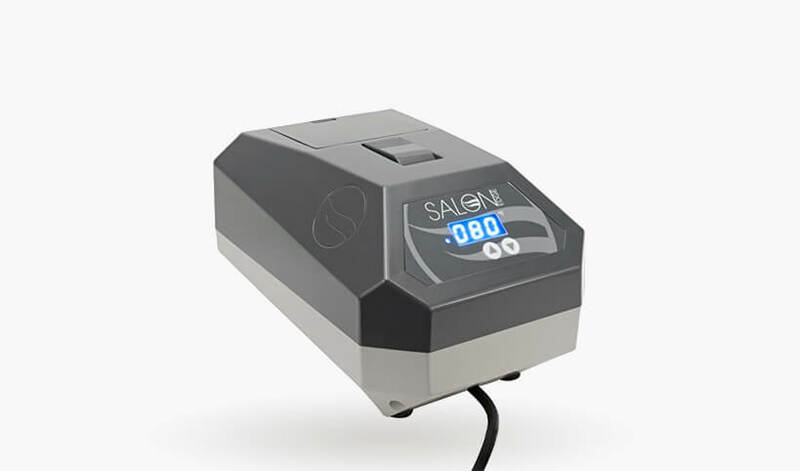 However, unlike the Salon Edge dispenser, this one is unable to dial in on an exact temperature setting. 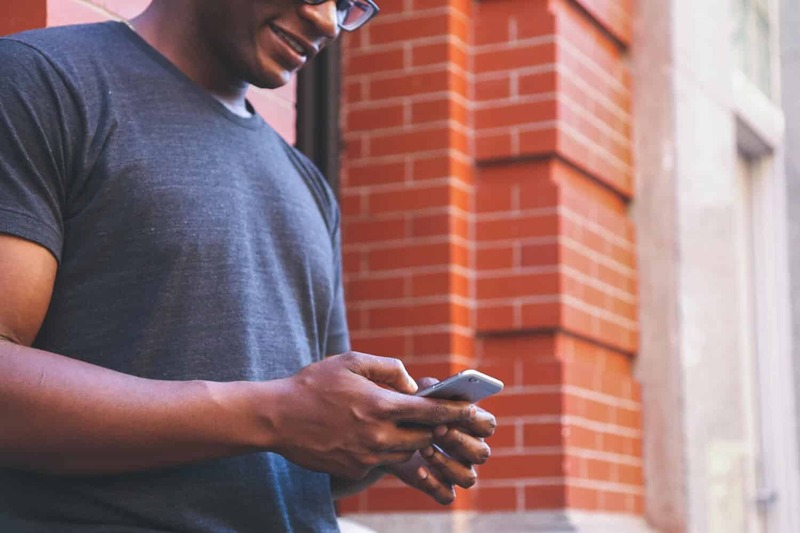 Instead of a degree specific temperature, you can set it anywhere between on, medium, and hi – much like an iron’s dial that you use when straightening out your clothes. While the temperature can be a bit vague, likely after a few uses of this dispenser you will know your preferred temp and will have no problem with future uses. Another great feature about this dispenser is that it comes equipped with a pump top design, making it incredibly easy to get your shaving cream out with only one hand. 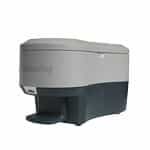 Unlike the Conair dispenser, this warmer can only take on liquid concentrates. Therefore, if you are wanting to use your favorite canned cream, you are out of luck. Beyond the shave creams operations, this product does come packed with a badger brush. If you have only ever used your hands to apply a shaving cream, you will quickly realize just all the benefits that these brushes hold, especially when helping to increase the overall comfort of your shave. 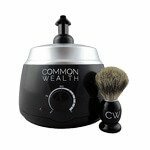 What’s also great is that this warmer by Common Wealth does also include an 8oz shave cream concentrate to get you started. Finally, unlike the Salon Edge, this product does come with a 1 year manufacturer warranty providing an extra peace of mind when purchasing. With a name like Latherking, you know this product takes its job seriously. A work horse like the Scalpmaster, this shave cream warmer is primarily aimed for barbershops. However, given its relatively sleek design, it can also be a welcomed addition to many men’s countertops who shave on a daily basis. While we covered this above in the Scalpmaster section, shave cream warmers of this capacity may be a bit overkill for just a single guy. However, if you share your sink with other folks in the household that shave on a regular basis, this is an incredible way to cut costs for everyone across the board instead of paying the steep prices that canned creams demand. Being made in the USA, you should expect quality construction not seen in other warmers that were made overseas. 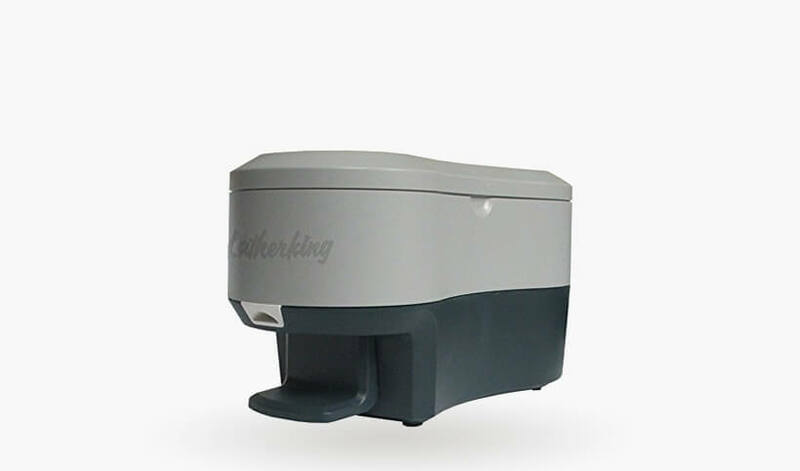 Beyond just being made in the United States, this dispenser by Latherking is UL certified (and the only one we found to be such the case on our list). It’s important to note that since this dispenser doesn’t come equipped with a dish or tray to rest in, you may want to pick up a product upon check out. However, it’s not to say that it doesn’t have an enclosed motor case, just that a rubber mat to rest on should help to increase its lifespan and prevent mildew buildup along the bottom. Secondly, given its industrial first design, this shaving cream warmer will take some time before its ready. Expected wait time till a warm lather should be around 30 minutes. Therefore, you will want to turn this one while brushing your teeth and well before you plan on hopping into the shower. Lastly, given its barbershop focus, there are no ways to adjust the temperature setting on this machine.